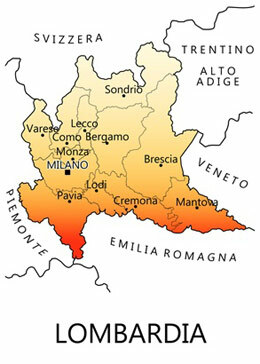 Lombardy is one of the 20 regions of Italy. The capital is Milan. 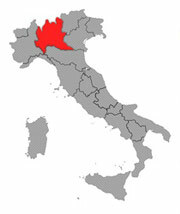 One-sixth of Italy's population lives in Lombardy and about one fifth of Italy's GDP is produced in this region, making it the most populous and richest region in the country. Major tourist destinations in the region include the historic, cultural and artistic cities of Milan (which is Italy's second top tourist destination), Brescia, Mantua, Pavia, Cremona and Bergamo, and the lakes Garda, Como, Maggiore and Iseo.